This past weekend I was lucky enough to attend the #BloggersBlogAwards and unlucky enough to not win a single prize when the raffle came around! Talk about unlucky! However I was lucky enough in that Jemma (Dorkface) who is simply the nicest human on the planet, was winning left, right and centre and generously donated one of her raffle prizes to my empty hands! 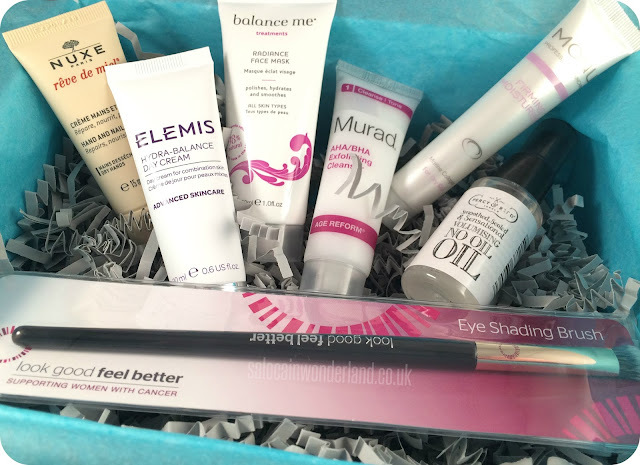 My prize…the Look Fantastic Beauty Box from their Limited Edition Christmas Beauty Box line. I have a love/hate relationship with beauty subscription boxes. Back in the earlier days of the blog I was addicted to them, I used to have a couple popping through the letterbox every month but eventually they all got very samey. I ended up with too many samples rolling around in the back of drawers never to see the surface of my skin. So I cancelled and never really looked back. I’ve been looking to have my mind changed about beauty subscription boxes…and I think Look Fantastic just did that. 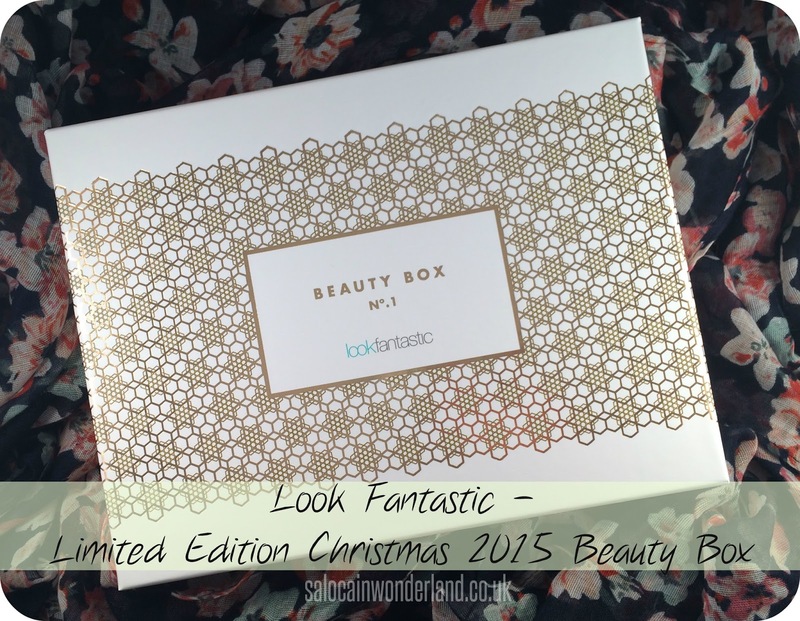 What’s in the Limited Edition Christmas Look Fantastic Box? The first thing that caught my eye was the Look Good Feel Better Eye Shading brush. Handmade, cruelty-free, and supporting the visible side effects of cancer treatment that women and teenagers are suffering. This brush is super soft and gives you all the good feels for helping out the charity as well as a perfect blend. Next up, Monu Firming Moisturiser. Heavy on the fragrance but so light and refreshing on the skin, it’s designed to refresh, tone, tighten, smooth and soften all in one. 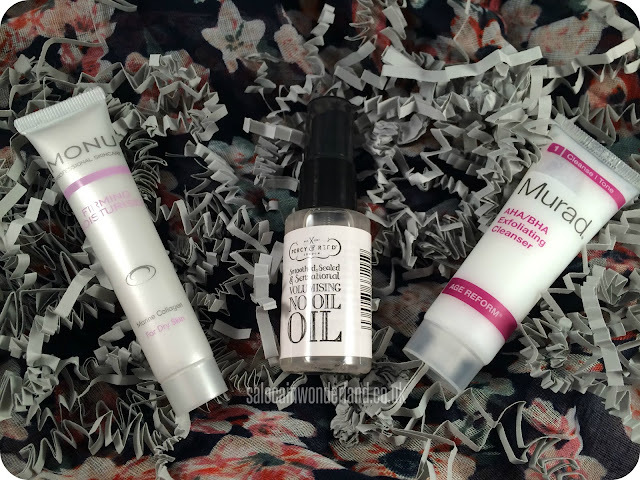 I really love Monu skincare, everything I’ve tried by them has been a joy and it’s been a while since I used anything by them! I’m also really excited by the Murad AHA/BHA Exfoliating Cleanser, enriched with jojoba beads and a trio of gentle exfoliating acids (sounds scarier than it is!) that is sure to leave skin perfectly polished and soft. Percy & Reid pop up in the box too with their Smoothed, Sealed & Sensational Volumising No Oil Oil really had my scratching my head trying to figure out what the heck it is. An oil that isn’t an oil? Are you confused too? Good, not just me then! It smells like bubbles and is almost water-like in texture so very not oily - I will be reporting back on this one! The Balance Me Radiance Face Mask is a very welcome addition to the box as I’m due a new face mask and have been wanting to try more from Balance Me for a while now! Made with 98% natural ingredients, this triple-action face mask is made with kaolin clay, fruit acids and walnut shells (that was a new one one me!). Suitable for all skin types and only takes 5 minutes to set - there’s no excuse not to try this one! Almost at the bottom of the box we find the Nuxe Reve De Miel, an intensely nourishing hand a nail cream, that is light, absorbent, none greasy and just all kinds of divine! I’ve been lusting after Nuxe for a while now and though I’m more keen to try their body oil, who doesn’t need a purse friendly hand cream, especially with the cold weather coming in! Last but certainly not least is the Elemis Hydra Balance Day Cream for combination skin. Oh, Elemis, how I covet thee. 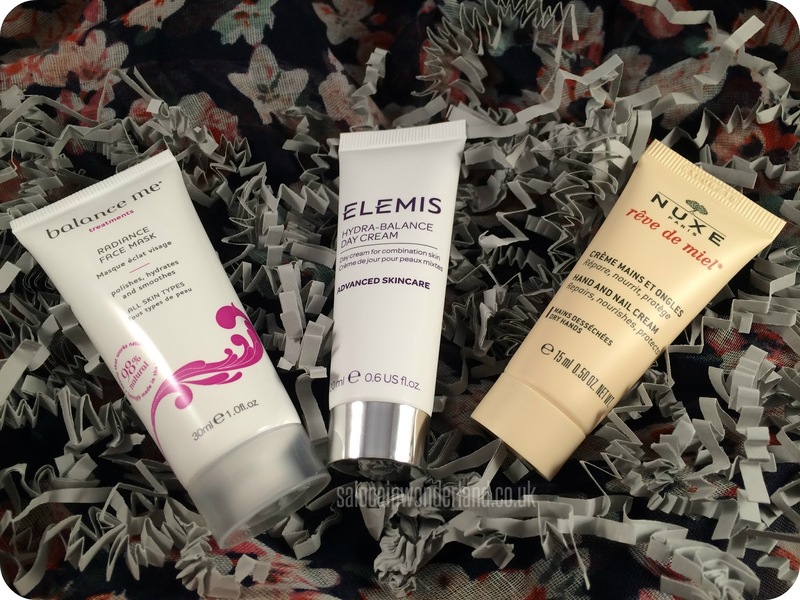 I’ve been an Elemis fan for years and this day cream is sure to be a winner for me - ultra light formula packed with antioxidants and meadowsweet extract is perfect for moisturising the skin but keeping oil and shine at bay too. If you’re struggling for a gift idea for a beauty loving gal like me you really can’t go wrong by gifting someone the Look Fantastic Christmas Box. It has everything they need for a home spa pampering session, just pair it with some bubble bath and maybe even a bottle of bubbly or a candle and you’ll have the perfect gift to put under their (or your!) tree this Christmas! Coming in a budget-friendly £15, with an estimated value of over £50, it will certainly be bringing the new you into the new year! How do you feel about beauty subscription boxes? Do they still have the lure they once had or is it time to try something different? That's my Sunday night sorted! Can't wait to try them out! Have been using the Elemis mosturiser over the last couple of days and looooving it! I've actually been wanting to subscribe to a beauty box because I have never, honestly, but it's sad that a lot of beauty subscriptions do not ship to where I live. This one looks great! I always get jealous of some of the boxes that only ship to the states! Especially Julep and Pop Sugar! That's because bloggers are the NICEST people ever.